Assessing Issues: How do you manage difficulties with your ERP system? We’ve all been there. First you feel a little twinge in your knee, maybe just the slightest pain in your hip. You think, “It’ll be better tomorrow.” Overuse, maybe—or just a sign of getting older. But the next day the pain’s a little worse, and even worse the day after that. How long does it take for you to go see the doctor? The same pattern holds true for problems with your ERP system. Many organizations experience little difficulties or inefficiencies and think of them only as bumps in the road. But, over time, the consequences of minor challenges can become compounded—and even small issues can end up affecting your productivity, your KPIs, even your bottom line. Even in situations where you have identified a problem, diagnosing the root cause and alleviating the pain can be a complex process that takes valuable time and attention away from day-to-day issues. Why struggle with these challenges alone? Just as you would go to the doctor for help with health concerns, so too can an external expert help you diagnose and address issues with your ERP system. If you have identified a gap or other issue in your ERP system’s function, or have uncovered areas for improvement through a complimentary Illumiti Health Check, a Value Assessment can be an effective next step. Your takeaway is a detailed roadmap to manage or solve the issue(s) and its associated pain. Recommendations are prioritized by degree of impact and ease of implementation, to set your organization up for both quick wins and long-term value. We also provide other recommendations on additional ways to optimize your KPIs and internal activities to support a process of continuous improvement. Your ERP system is your organization’s information backbone. Even small “twinges” can be signs of deeper issues—which, when resolved, can help your business run smoothly and more efficiently. 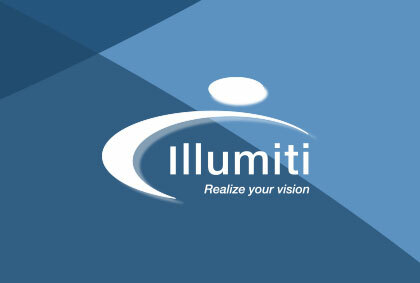 To learn more or book your Value Assessment, reach out to info@illumiti.com.